An undergraduate student of the Federal University of Technology, Owerri, has been arrested for allegedly killing her boyfriend. 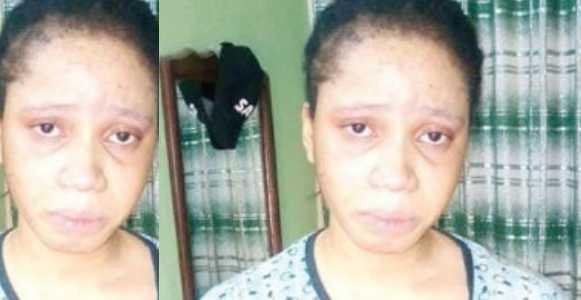 Men of the Special Anti-Robbery Squad of the Imo State Police Command have arrested a female undergraduate of the Federal University of Technology, Owerri, Chitere Okoronkwo, for allegedly killing her boyfriend, Johnmark Osigwe. “She was arrested in connection with the murder of one Johnmark Osigwe, 24, at Nkwo-Orji in Owerri on August 16, 2018. It is important to note that the decea$ed was a boyfriend to the suspect. “When their relationship got sour and ended, the girl demanded compensation. The deceased, due to persistent threats to life before being a$$assinated, had paid N1.8m for shop rent and N2m for interior decoration of the shop to the estranged girlfriend. “Not done with the threats, she demanded N3m, which the decea$ed gave through a lawyer. Before the money was finally paid to the lady, he was k!lled inside his Mercedes SUV.